Rabri or Rabdi is a very famous Indian dessert which is usually prepared in most of the households and is also cherished by all age groups. It is nothing but thickened milk and sugar mixture. Lauki or bottle gourd further enhances it taste and makes it healthy. 1. In a Kadai or non stick pan, heat up milk and add lauki in it. Cook the mixture for 1.5 hours while stirring the mixture continuously. In between add cardamom and sugar. Continue stirring till the mixture reduces to half the quantity and milk gets thickened. Keep scraping the sides and bottom of the pan to prevent any kind of burning on sides or bottom of the pan. 2. Allow the mixture to cool down and blend with help of a blender. 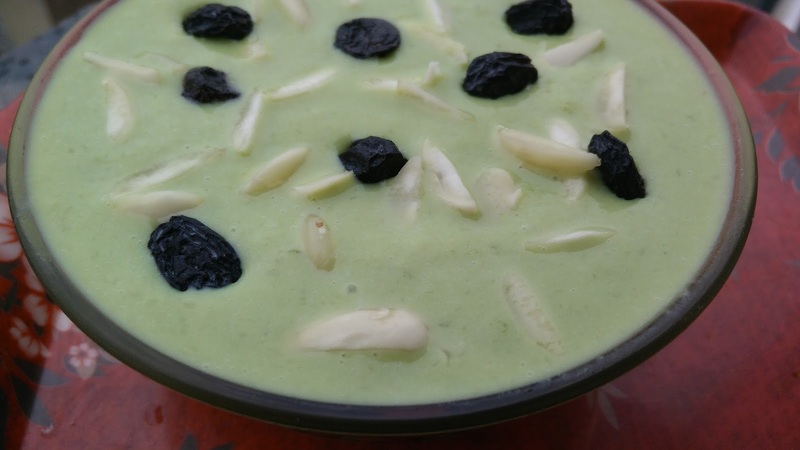 Add the food colour to enhance the appearance of the lauki rabri. 3. Keep in fridge for 1-2 hours till it is semi soft and serve chilled. Rabri can also be served hot as per liking. 4. Serve Rabri with Jalebi or Malpua.